Due to the prestigious nature of all the work produced by Benjamin James Ryan all the pieces are assayed and regulated by the Worshipful Company of Goldsmiths’ London Assay office. The Goldsmiths’ Company has been trading since 1300 and offer independent assessment ensuring the purity of the metals used. It is these tests that are carried out that are indicated through the marks struck. The Images below represent the four assay offices of Great Britain: from left to right, the leopard’s head of London, the anchor of Birmingham, the Yorkshire rose of Sheffield, and the castle of Edinburgh. As it now stands, the compulsory part of the UK hallmark consists of the sponsor or maker’s mark, the assay office mark, and the standard of fineness. In the example below BJR represents the makers mark of Benjamin James Ryan, the Leopard’s head for the assay office of London and the 925 to indicate 925 silver parts in 1000 to state that the metal is sterling silver. The bottom example shows the extra marks that can also be struck… the lion passant symbol indicating Sterling silver, and the (a) the date mark (lowercase (a) for ’2000′). Benjamin James Ryan has all work marked at the London Assay office, and the BJR makers mark will always be seen next to the Leopards head of London. The date marks will invariably change, as will the purity number of the metal and its symbol depending on what material the work is made from. Benjamin James Ryan makes it standard practice to have all the marks and symbols struck on his work, either hand struck or laser marked. When purchasing jewellery or a item made out of a precious material there are several things to take into consideration especially when cleaning and maintaining the works original appearance. For the most part items with a shiny polished finish will only need a quick going over every once in a while with a jewellery or Goddard’s polishing cloth… and will be more than sufficient to bring the piece back to its original sparkle and shine. If you have a piece that has a mixture of different finished surfaces, for instance matte and shiny, and requires cleaning, it is often best to use a product called Silver Dip or Silver Foam. For the best results it is advised to rinse and wash the piece down with a soft cloth in warm soapy water (i.e. washing up liquid). Then submerge the piece into the silver dip solution for around 10 seconds or so, again wash and rinse, and dab dry using a fresh clean soft cloth. On the shiny sections you can always use a polishing cloth on top of this process but it is best not to if there is any doubt in shining up a nearby matte finish. This product is very clever and chemically similar to the silver dip and is perfect especially for matte items or areas on a piece with grubby finger print marks or tarnish blemishes. By simply cleaning the piece again in soapy warm water with a soft cloth and applying the foam like substance with its provided sponge, rinsing and again dab drying thoroughly, all types of the marks described will be lifted from the surface without a trace. These cleaning products listed above will come with cleaning instructions, and the above information is our suggested process, but if you are in any doubt in what to do or feel that the information listed above contradicts the instructions on the cleaning product, please do not hesitate to contact us for further instruction. For an item that you have had for a long time, or accidently damaged through cleaning, using or wearing, it may be necessary to have the piece re-finished to bring it back to its original splendour and glory. 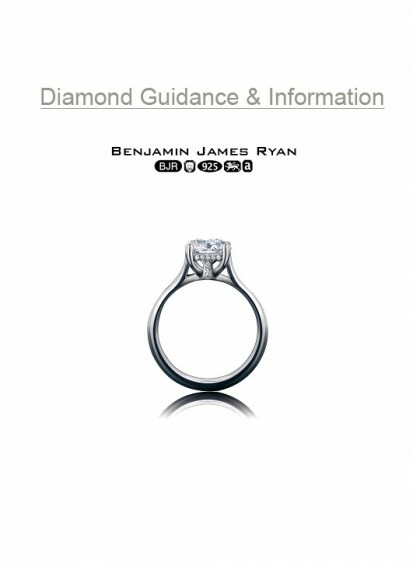 Although there are many companies that can offer repair services it is advised that if the piece is a Benjamin James Ryan or a BJR designs product that all repairs and re-finishing are carried out in house… due to our inside knowledge of how each item is made and the exclusive nature of our products. Costs for this service will vary dependant on the amount of work involved and complexity in restoring or re-finishing a piece, but can usually be carried out for a small reasonable fee. Again if you have any doubts or queries about any of the information listed above please do not hesitate to contact us for further guidance or instruction.